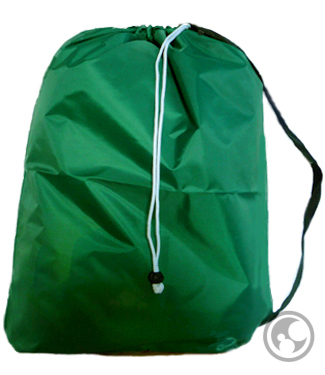 Medium Carry Strap Laundry Bag with Drawstring and Locking Closure, Color: Green - Size: 24" x 36"
Our green medium size laundry bag is made of a premium nylon fabric that is durable, long-lasting, tear and water-resistant. Includes a convenient shoulder strap, locking drawstring and metal hanging grommets. 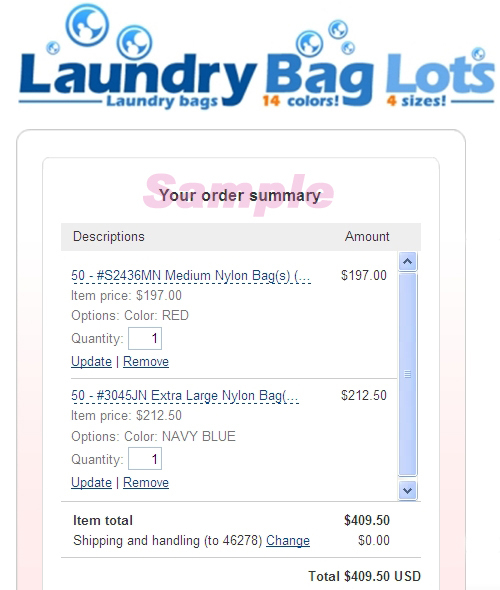 Ideal for small apartments, dorms, laundry services and separating white and dark colored clothes. Each bag can hold 20-26 lbs. and measures 24 inches wide by 36 inches long. Easily withstands repeated washing machine and dryer cycles. Fits hampers and containers requiring a 22" bag or less.